Located at 1, Tran Binh Trong, Hanoi, the People's Police Museum (formerly the Museum of the Department of Propaganda) was the red center for police officers in the police force as well. People come to learn about the material as well as review the historical traditions, achievements and development of the police force in Vietnam. Vietnam Fine Arts Museum is located at 66 Nguyen Thai Hoc - Ba Dinh - Hanoi. This attraction is becoming more intimate, more intimate with the public, especially for art lovers. About 700 meters east of Hoan Kiem Lake, the National History Museum is located at 1 Trang Tien Street - Hoan Kiem District - Hanoi and 216 Tran Quang Khai Street was built in 2011 with the merger of the Revolutionary Museum Vietnam and the Museum of Vietnamese History. The B-52 Victory Museum (No. 157 Doi Can Street, Ba Dinh District, Hanoi) now houses hundreds of artifacts about the heroic and glorious past of the troops and the people of the capital in the war. Twenty-two days of the death of the US Air Force's B-52 air raid ... Visit B52 Victory Museum to learn more about the heroic history of Hanoi thousand years give. The capital of Hanoi has a history of over a thousand years and contains the remains and cultural remains of the capital, the main cultural capital is Hanoi Museum. This is also a stopover attraction for many visitors. The Museum of Vietnamese Women not only attracts visitors by its quality but also by its innovative, innovative approach. This is one of the three most attractive destinations in Hanoi has been the world travel website voted. If you choose Hanoi as the destination, the Museum of Vietnamese Women is sure to be a must do. 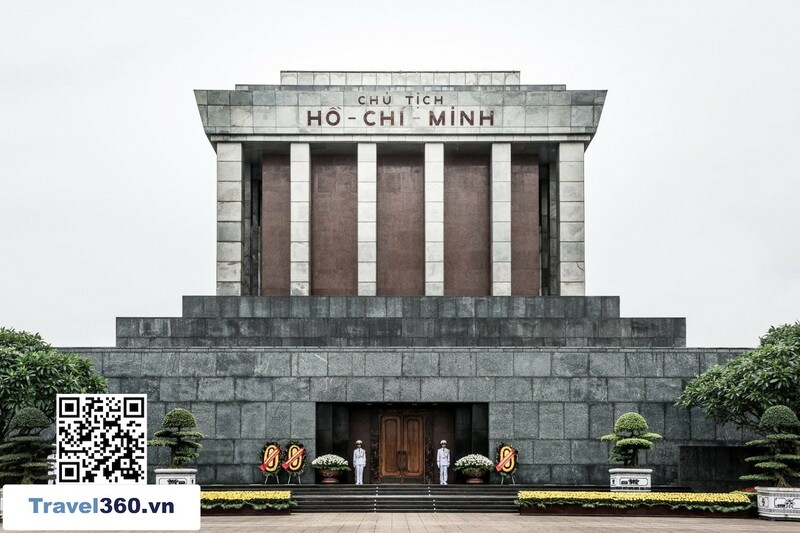 As one of the largest museum in Vietnam with an area of ​​up to 18,000 m2, where many valuable artifacts of President Ho Chi Minh are preserved, the Ho Chi Minh Museum is an important historical-cultural relic. most capital and the country, attracting a large number of domestic and foreign tourists to visit, learn. Vietnam Museum of Ethnology is the place to display and preserve the cultural values ​​and traditions of the Vietnamese people. As the name implies, here you will understand more about customary habits, habits of living, characteristics of each ethnic group on the S shaped land. This will definitely be a great experience for a visit to this special museum! Located in the center of Hanoi, the Military History Museum of Vietnam is one of the seven national museums with the largest number of artifacts and visitors. Through its unique original artifacts, the museum becomes a cultural and historical center, an attractive place for domestic and international visitors. The Temple of Literature is named as the first university in Vietnam - a golden milestone in the fine tradition of the nation. This is a place that preserves the beauty of both architecture and history, is one of the famous attractions that visitors can not ignore each time they visit the capital of Hanoi thousand years of civilization. Hoa Lo Prison is located at 1 Hoa Lo Street, Hoan Kiem District, Hanoi. The relics are still in existence with time until today, is a clear evidence for a long period of history that hardships, symbols for the unyielding spirit, the resilience of the Vietnamese children. Patriotic. Although experiencing many ups and downs as well as the impact of nature is harsh, Uncle Ho is beautiful and dignified, is a destination can not be ignored by the visitors to visit the capital. To visit Uncle completely, do not ignore the information below.